How do you unlock Prisoner skin stage 3 in Fortnite? Fortnite faces the relentless frosty nastiness of the Ice King, and this battle royale game needs a suitably fiery hero to bring balance to this brightly-coloured world, or it’ll face certain destruction. Probably. What this really means in practice is that you need to unlock stage 3 of the Fortnite Prisoner skin if you want to see him at his rather hot best. For those of you that don’t know, you unlock this special outfit by completing 60 of your weekly challenges. From there, however, it’s not exactly clear how to unlock Prisoner stage 3, so we’re going to show you exactly how to do it. Just in case you’re not up on your Fortnite lore, the Prisoner was once a mysterious figure found hidden within the icy hilltop of Polar Peak. Lashed to his chilly prison with rusted chains, you helped the Prisoner to escape by, err, completing a load of weekly challenges, we suppose. Either way, this hero appears to be gearing up to play a vital role in the oncoming battle with the evil Ice King and his frosty followers. But first, we need to warm him up to ensure he gets back to full strength, so here’s how to unlock Fortnite Prisoner skin stage 3. 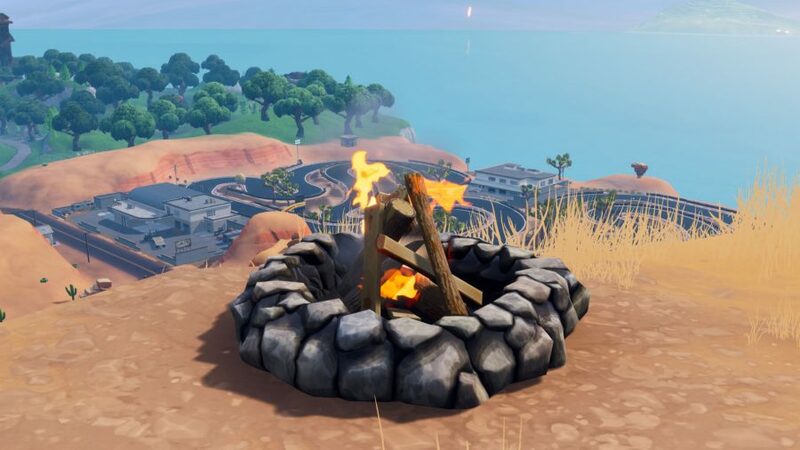 On the week 10 loading screen – which you can unlock by completing all the final weekly challenges for season 7 – we can see our grizzled hero with his back to us in front of a campfire. This fire pit is not the kind we’ve seen before: where Cozy Campfires are pick ups that health you and your team when used, this Foraged Campfire stays in the same location, and can be lit to heal yourself. So, what does that mean for the Prisoner? Well, if you re-enact the week 10 loading screen by lighting a fire with the outfit equipped, this will cause flames to flicker up his arms, which is how to unlock Prisoner stage 3 in Fortnite. However, you will need to be the one the light the flame. If someone else has already done it, you’ll have to back out and get their first another time for it to work. 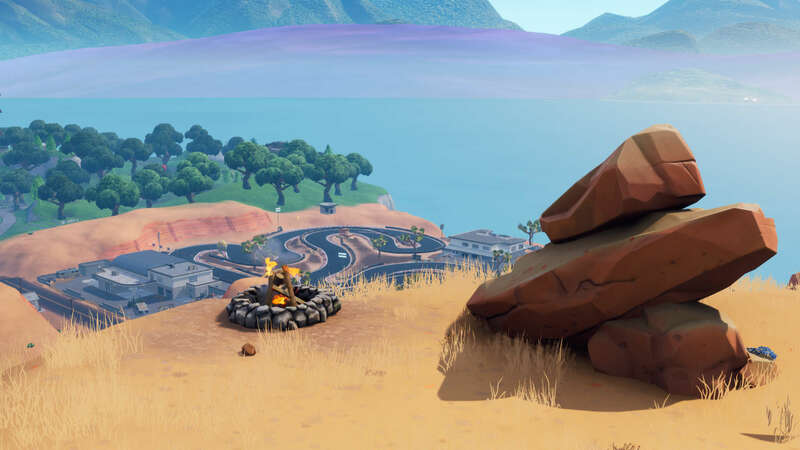 Foraged Campfires can be found all over the map, but, we’ll show you the Fortnite campfire location from the loading screen – it overlooks the desert biome race track. When you get there, light the fire, and your skin should react to indicate that it has been upgraded. Below is a map and screenshot showing you where that is. There you have it, how to unlock Prisoner stage 3 in Fortnite. Being the seasoned challenge completist you are, we imagine you’re all up to date. 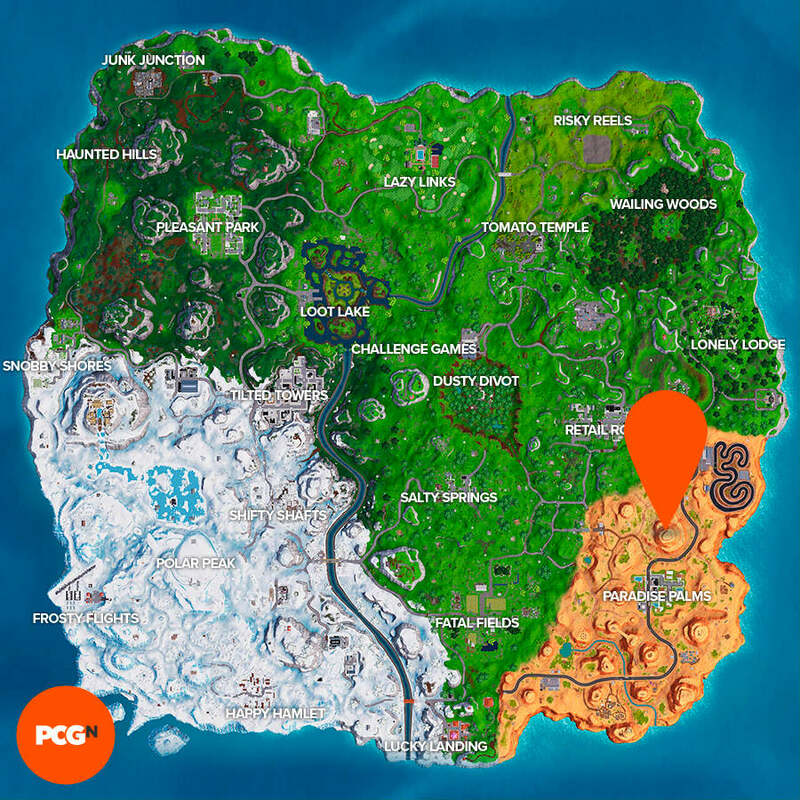 But, just in case you’ve still got a last few to mop up from week 10, here’s where to visit all Fortnite Expedition Outposts and where to get a score of 5 or more at a Fortnite Wailing Woods Shooting Gallery. For now, we’re getting the popcorn to prepare for the big encounter between our new hero and the Ice King.